Home locks are an integral part of any door, since they are the points of entry and exit. It acts as the first line of defense against external threats. Therefore, it is important to give proper attention and take every possible step in making your door safe and secure. As with anything mechanical, grime, and dirt will build up in a door lock, making it harder to operate. Regular door lock maintenance does not only help locks to function optimally, but also assures that the property is satisfactorily secured. 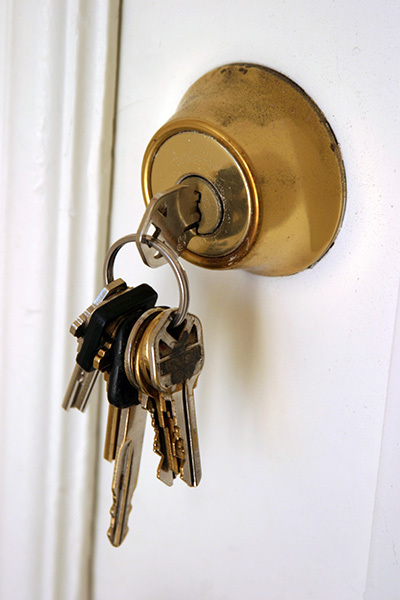 Since door locks are composed of moving parts, dirt may clog on these tight spaces making it harder to operate. To prevent this from happening, apply a lock lubricant and use a soft and clean paper towel or cloth. This lubricant comes with a spray that oils the lock sufficiently for a smoother operation. Contrary to what most people suggest, do not use powder graphite since it clogs like sand, making it harder to remove. Make sure to use a genuine product to ensure efficient removal of dirt and grime. When using lubricant, do not mix water to retain its natural contents. Use a clean cloth with mild soap and water to wipe all areas, where dirt and grime build up. Once done, use a clean, dry, and soft cloth. If the security door locks do not work as smoothly as before, loose parts could be a problem due to their heavy usage, causing hinges, and screws to loosen. The best remedy is to tighten these parts using simple tools like a screwdriver. If your striker plate and latch are misaligned, remove the plate and reinstall it again. If the latch does not fit anymore, it is time to buy a new striker plate to ensure a perfect fit for the latch. Maintaining door locks can be an easy task, but if you think they need more than just ordinary maintenance, or if lock replacement is required, don’t hesitate to get in touch with us. Our Professional Locksmith Company provides customers with the best door lock services. Our fast, friendly technicians are highly trained and ready to do the job right the first time for a safe, fast, and guaranteed service.